Tokyo was called Edo in the olden days and it was the center of culture for about 250 years of the Edo period. Many townspeople lived in Asakusa, Ueno, and Yanaka, which is part of present day Taito. It prospered as a common people’s town where various kinds of culture were born and flourished, surviving until today. 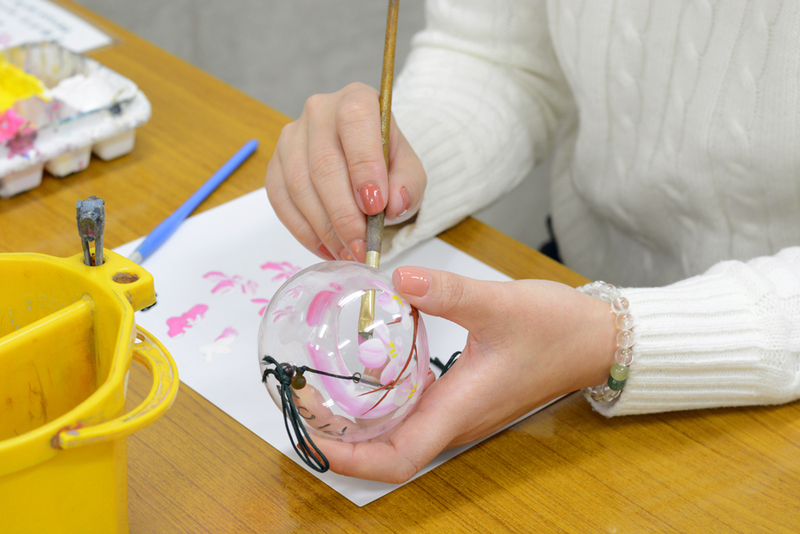 While Tokyo has developed and changed dramatically, Taito keeps traditional handicrafts of Edo craftsmen and the culture of the townspeople alive even today. 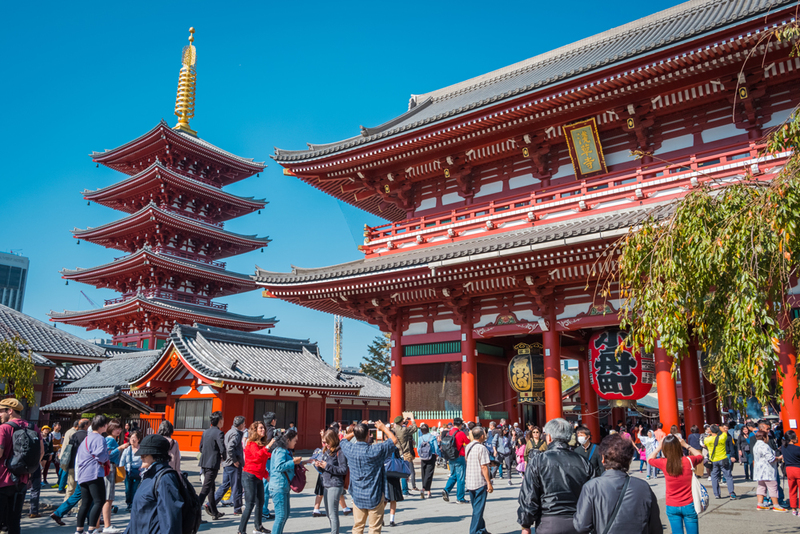 Attracting more than eight million foreign travelers every year, Taito has a lot of shrines and temples, places of scenic beauty and historic interest as well as conducts various traditional events. In this feature, we introduce some of the popular spots in Taito. There is a wide range of interesting spots, including shops where you can feel the good old traditional culture as well as places where you can have hands-on learning experiences! We start with a spot in Asakusa, one of the most popular areas among foreigners. Kappabashi Street, an area located in the west of Asakusa, holds the largest number of stores that sells professional kitchen tools in Japan. 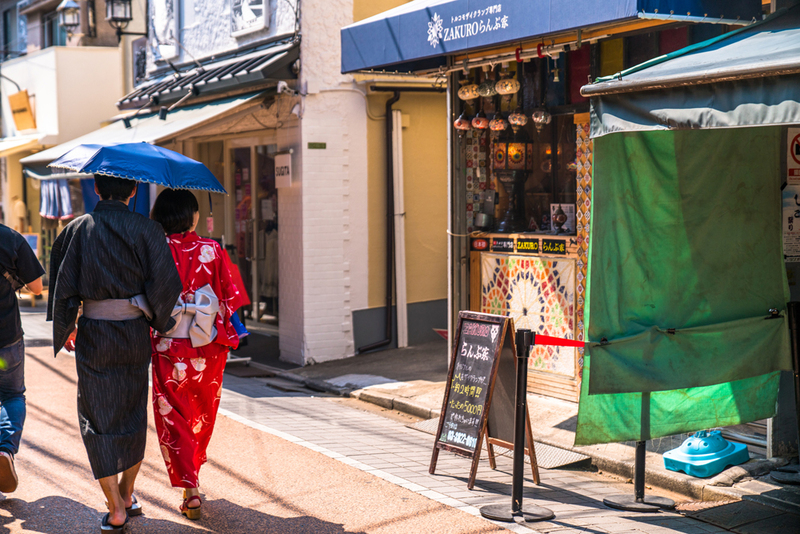 Approximately 800-meter long, this street is lined with as many as 170 stores that sell ceramic goods, kitchen utensils, and many other items related to restaurant businesses. 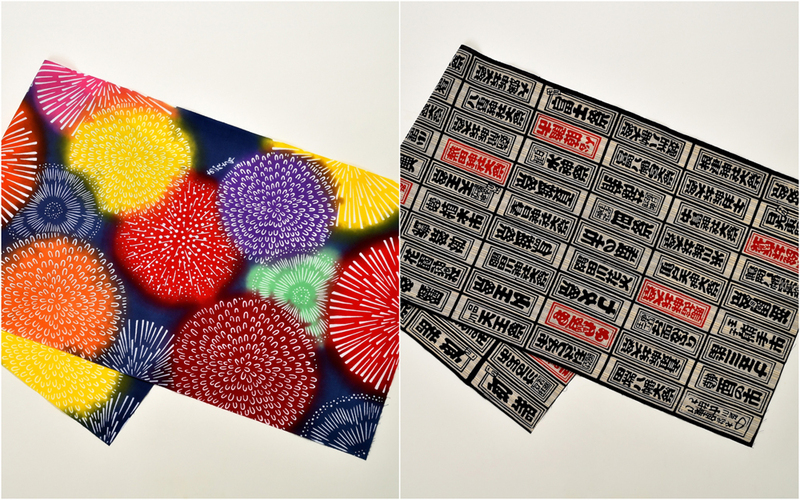 Ganso Shokuhin Sample-ya (Kappabashi store) is known for its workshop where you can experience making artificial food samples using an age-old method. You can create food samples that look so real, someone might even mistake them for real food! 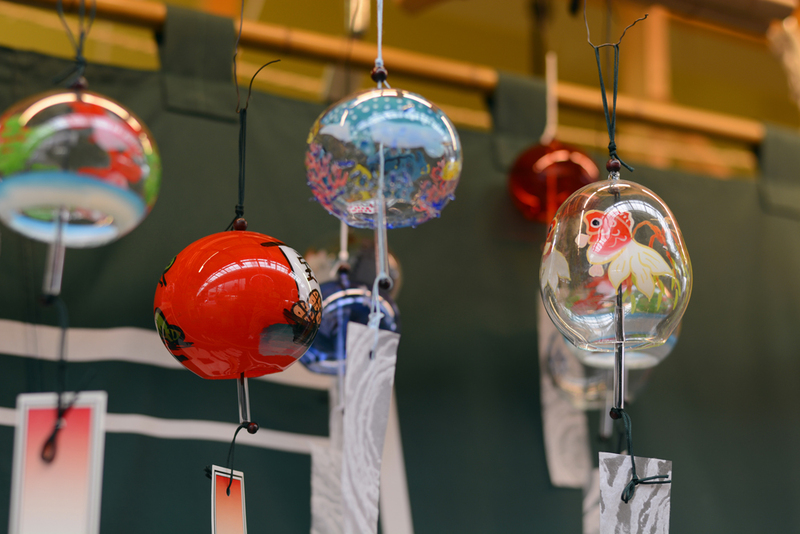 Other than making them, you can also enjoy looking at the unique products all made with the same technique and buy some as souvenirs. An ideal place to pick up presents! *Reservation on the phone is required to participate (only in Japanese). Don’t these food samples whet your appetite? Chagohan Tokyo is a cooking school located near Kappabashi Street and Tsukuba Express Asakusa Station. 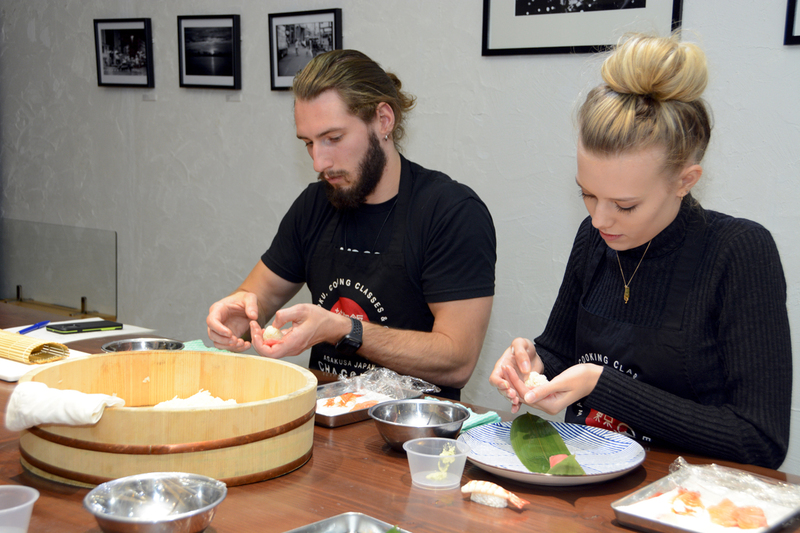 They offer many classes where you can learn to cook Japanese cuisine, including ramen, dumplings, sushi, sukiyaki, tempura and okonomiyaki. All the seasonings used in the classes are additive-free. Options for vegans or people with food allergies are also available (required to consult beforehand). The explanation of ingredients and instructions for cooking are provided in English. 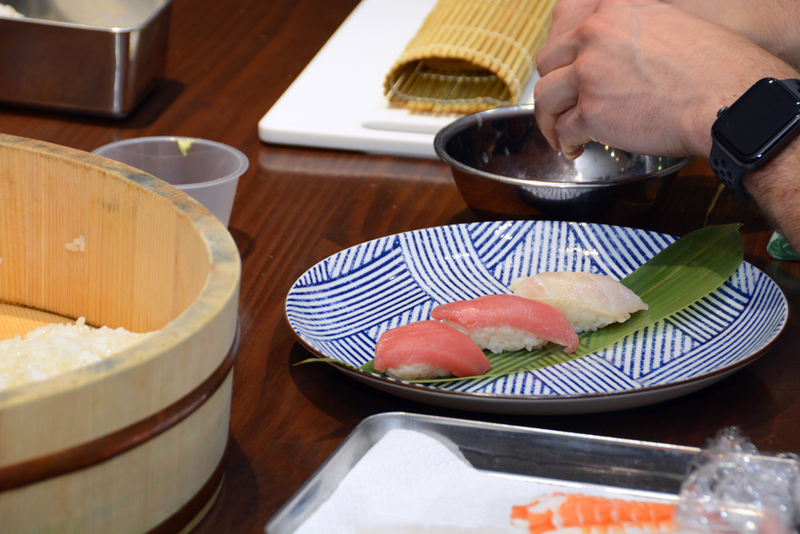 A great chance to enjoy eating authentic Japanese food that you cook by yourself! 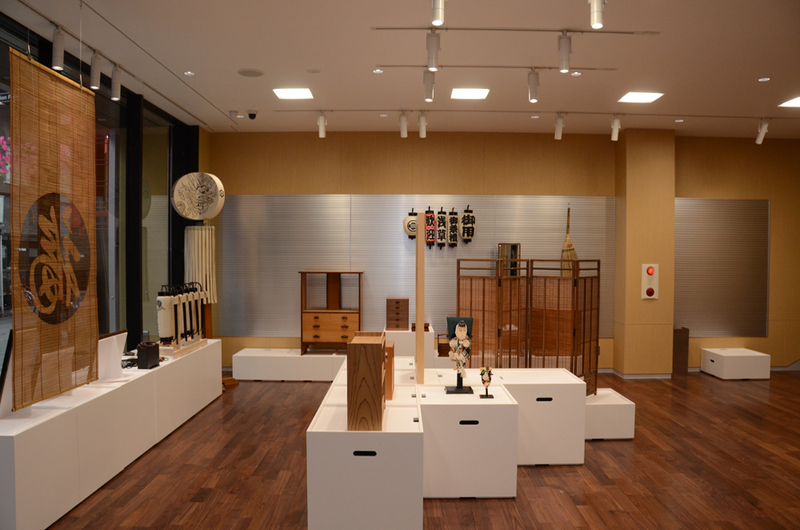 There is also a spot where you can enjoy traditional craftsmanship of downtown Tokyo! 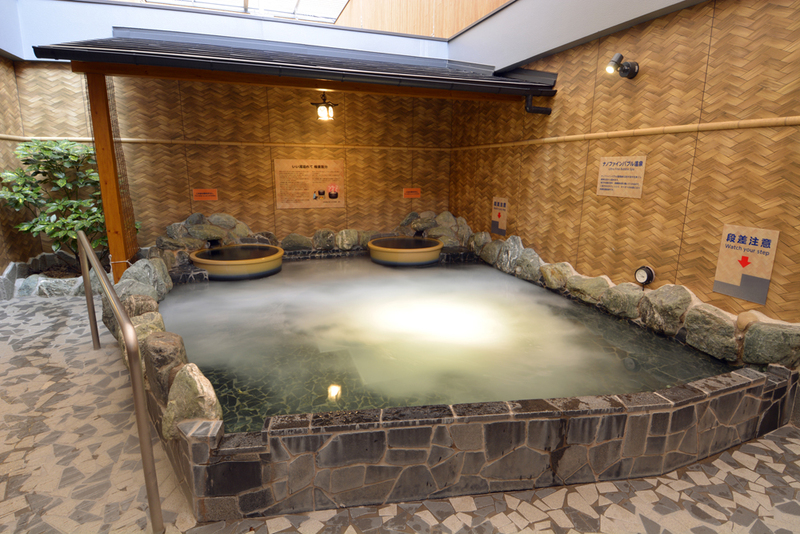 Can you believe that there is a natural hot spring bath even in Taito? After trying a lot of activities, how about visiting a public bath to relax in this historically rich downtown area? Yudonburi Sakaeyu is located north of Sensoji, in an area called Oku-Asakusa. You can enjoy as many as seven different kinds of baths, including a rotenburo (outdoor bath), neburo (lie-down bath), and denkiburo (an electric bath for health reasons). Sauna is also available at an additional cost. The outdoor bath is especially popular among foreign guests. 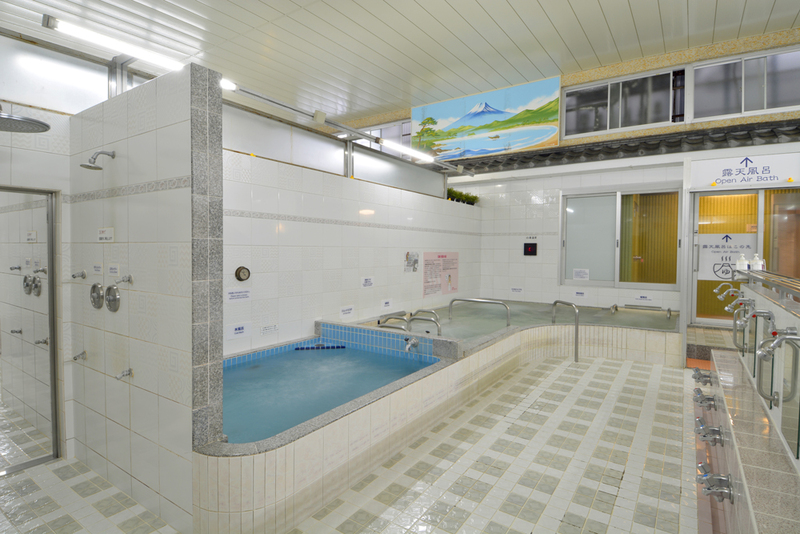 Although a natural hot spring, the facility itself is a sento, a downtown-style public bath, so the fee is only 460 yen! You can buy towels and shampoo, so you can just walk in! Open to all, how about taking a break from sightseeing and relax in a bath? One of the comforting aspects for foreign guests is that instructions are written in English on the website as well as in the baths; further, guidance in English is also available on the spot. 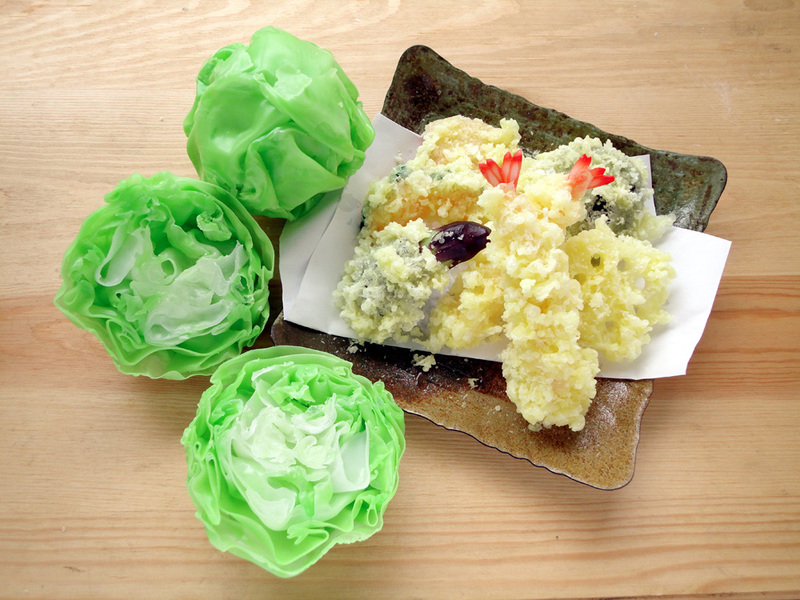 Lastly, we introduce an amazing spot where you can experience many kinds of Japanese culture. Tourist Information & Culture Center YANESEN is an information center for foreign tourists located near the Yanaka Ginza shopping area, a 5-min walk from Sendagi Station on the Chiyoda Line. 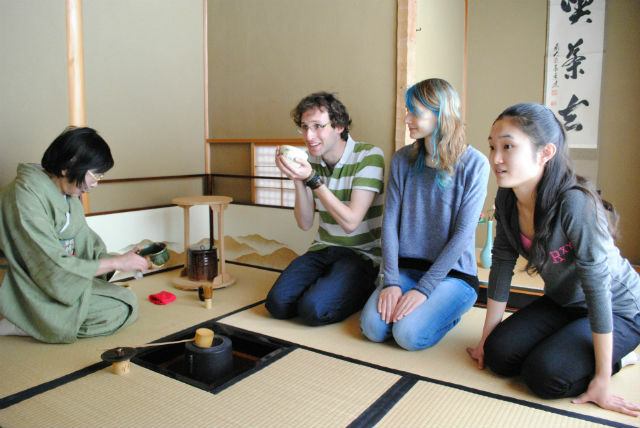 You can experience traditional Japanese culture, such as tea ceremony, Japanese calligraphy, flower arrangement and kimono dressing. They have so many courses that you can find what you are interested in. The best part is that all the courses have an English interpreter. 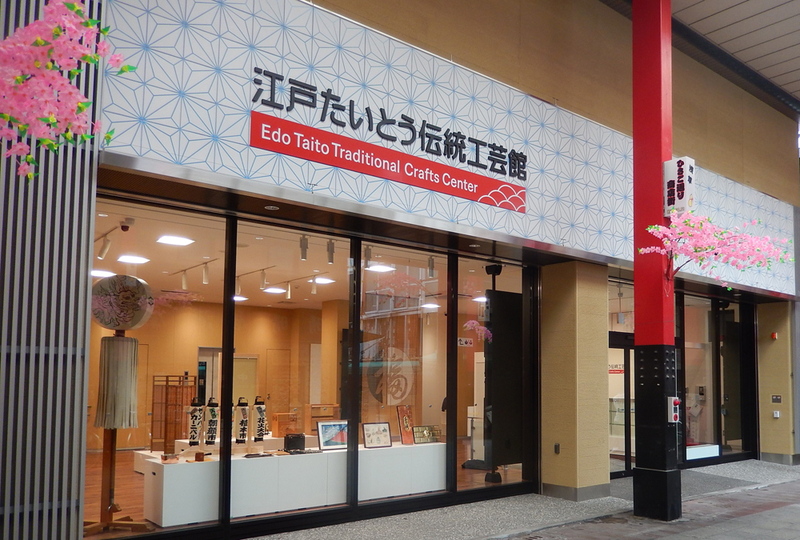 In this feature, we introduced only some of the many spots to experience the charm of Taito! There are many more attractive places, so how about discovering them for yourself?